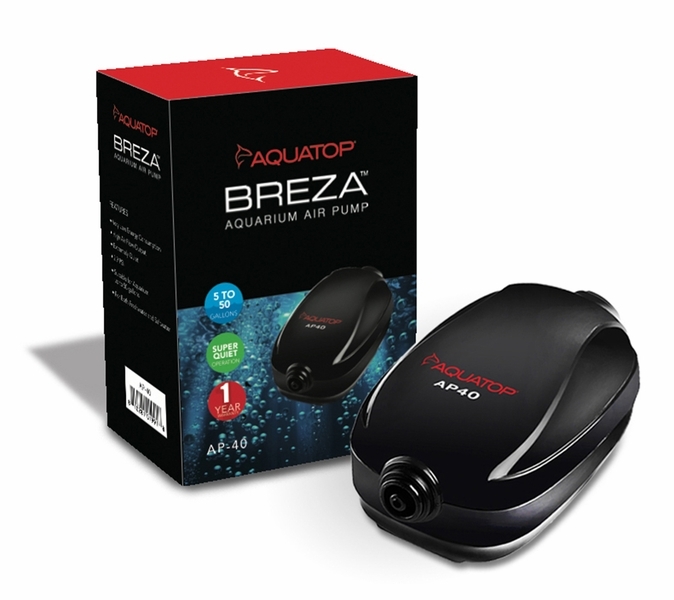 AQUATOP’s AP Series of aquarium of air pumps gives aquatic creatures the oxygen they need to thrive. Available in different sizes, the AP-40 handles tanks from 10 to 50 gallons. This economical but sturdy pump adds air bubbles, creates current, and agitates the water’s surface to help promote gas exchange. The AP Series will also help maintain stable and healthy pH levels inside your aquarium. Great little pump. Very quite. Does what its supposed to. Using in my African Cichlid fry tank, and its doing a great job!